This poem was originally posted here at GottaBook two years ago. I'd be willing to bet it's as relevant today as it was then or decades ago, too. This week's Poetry Friday roundup is over at A Year of Reading. I'm thankful for everyone who shares poetry on Fridays... as well as Saturdays through Thursdays, too! Except today, I want to direct you to the KidLit Cares auction where you can bid on two hours of my services with your whole donation/bid going to the Red Cross Disaster Relief Fund. You get me... and support charity. It's a win-win. If you don't want to bid on little old me, you really gotta poke around over there: amazing Skype visits, autographed books/signed art, manuscript critiques, and much more are up for auction. Great deals, great cause, great stuff! 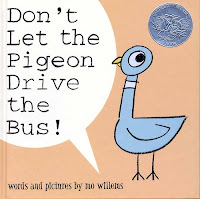 For those of you new to my Oddaptations, they're kinda Spark Notes meets Shrinklits for picture books, usually in rhyme and always with attitude. 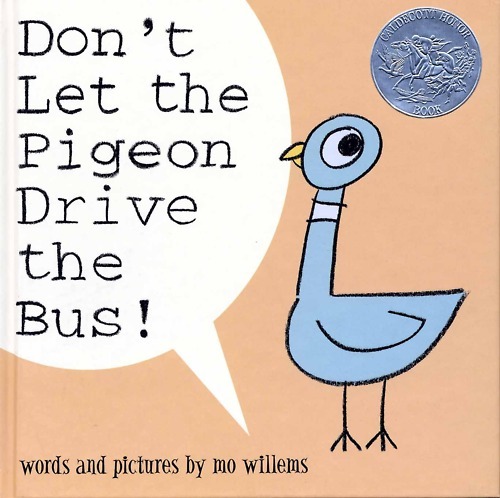 The Pigeon wants to drive the bus. How to stop his whine? His fuss? Here's a thought: try squab for dinner. It's been some time since I posted a new Oddaptation, so if you've not even seen 'em before, you can check out a bunch over on the right hand side of the blog (or by clicking this handy Oddaptation link here). Heck, you can check 'em out even if you have seen them before. Etto had the deepest voice. He boomed out his words, and it wasn’t a choice. And we got a new word. For what it's worth, I had originally called this poem "Ettomology." Should I change it back? The Poetry Friday roundup is over at Ed DeCaria's Think Kid, Think! today. Which is nice, as I started on the word "falsetto" due to his March Madness competition. Anyway, head on over and check out his effort to make the Poetry Friday roundup even more fun and relevant for YOU. Yes, for YOU. Want to donate to the Red Cross and get, say, a manuscript critique from Laurie Halse Anderson? A Skype visit from Mo Willems? Signed books, a writer's retreat, a portfolio review, or even a "free pass" for a manuscript to go to an editorial meeting? All that and so much more is possible if you check out the KidLit Cares auction going on right now. Organized by authors Kate Messner and Joanne Levy and with 42 items up in the first round of the auction right now, this event is a response to the devastation caused by Superstorm Sandy. It's great stuff for a great cause. A new batch of auction items will be going up on November 12th, too, so don't forget to check back then. And I hope you'll check out the auction (and the bidding rules) and/or find some other way to help out those who have been impacted so greatly by nature's fury. Why do I vote? That always seems like a "wrong" question to me because the reality is that I can't come up with a single reason why I wouldn't vote. I wrote in 2008 about the sense of responsibility I feel when it comes to voting, and that remains as true today as it was then. I also know that whatever the issue, from the Presidency to controversial propositions to the House to local offices, if I've skipped voting for it, it's harder for me to make a forceful argument about my positions. It's a bit like putting your money where your mouth is. And, hey, if "my" candidate doesn't win and I didn't even vote... well, I'm certainly part of the problem, not the solution. Likewise, I've heard the idea that one vote doesn't matter. 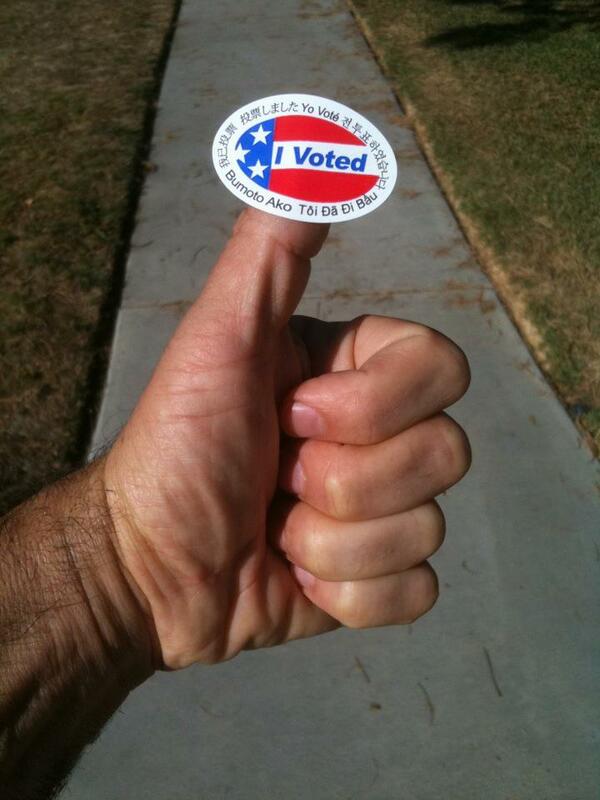 Yes, it's true that most elections aren't decided by tiny margins. Then again, each vote is "only" one vote. Collectively, they matter. And if you're not part of the collection, then you aren't part of the group that matters. Is our voting system perfect? Of course not. Yet it is our system, and I want to be part of it, not an outsider looking in. I want to honor the lives of those who've died so that all of us who are old enough to vote get to vote regardless of race, religion, or gender. And I want to assure that all those who come after us have that right, too. As I watch the devastation of hurricane Sandy, I'm reminded again how we all pull together... how we are, despite vast spaces between us, all part of something bigger than just our own smaller communities. To me, a Presidential election is about that, too. So, wherever you fall on the political spectrum, I hope you exercise your right to vote. I know I will.